Meaning: This is the erstwhile hermitage of great-souled Vamana renowned as Accomplished hermitage, why because the sage with supreme ascesis Kaashyapa got accomplishment to such of his ascesis there only. This is firstly the hermitage of Vishnu before taking up Vamana incarnation. Later the incarnate Vamana also practised asceticism here. Thus, this hermitage belongs to both Vishnu and Vamana, and on such an analogy this even belongs to Rama at the present time, so says Sage Vishvamitra. The above verse in epic Valmiki Ramayana gives us the significance of Siddha Ashram. The last place which we are going to visit at Buxar is Siddha Ashram. 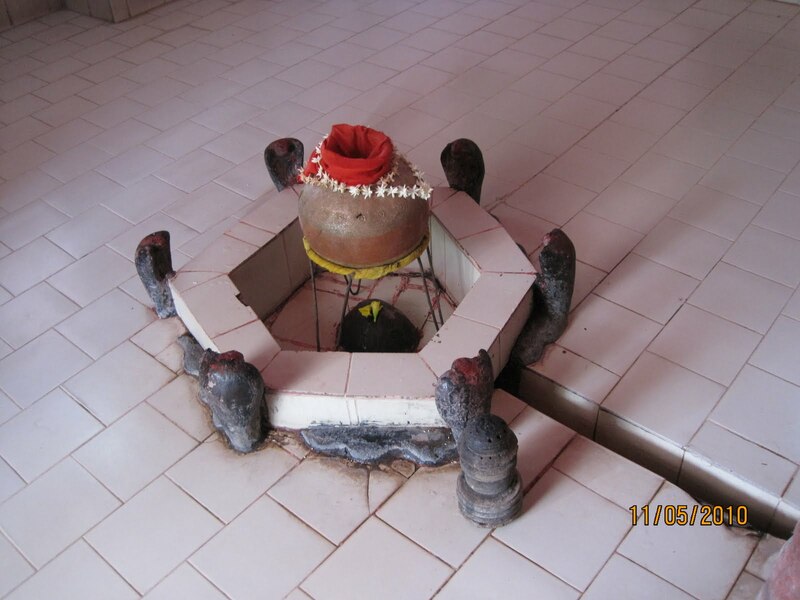 Here Sage Vishwamitra performed the great Yagna (fire sacrifice) for period of six days. He took prince Rama and Lakshmana to the forest to safeguard this Yagna. Day 01 : They all stayed at the banks of river Sarayu. Day 02 : They all stayed at Kama Ashram (Kameshwar Dham). Day 03 : They all stayed at Tataka Vanam. From Day 04 to Day 09 : Six days Yagnam was conducted, under the protection of Lord Rama and Lakshmana. 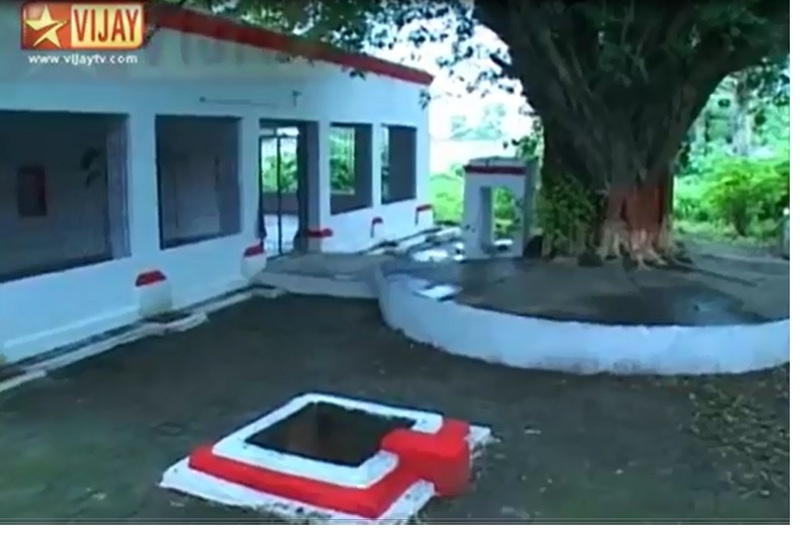 The place where this Yagna was conducted is known as Siddha Ashram. One can have the darshan of Homa Kundam (fire altar) at this place. This Ashram (Hermitage) is also known as Punya Ashram or Siddha Ashram because all our wishes (Karya) will get fulfilled (Siddhi) here and will help us in gaining spiritual merit (Punya). This is connected with various incarnation or avatars of Lord Vishnu. Vishwamitra told Rama that, this place was formerly the residence of Lord Vishnu in His incarnation as Vamana, and narrated the whole story of Vamana Avatar. 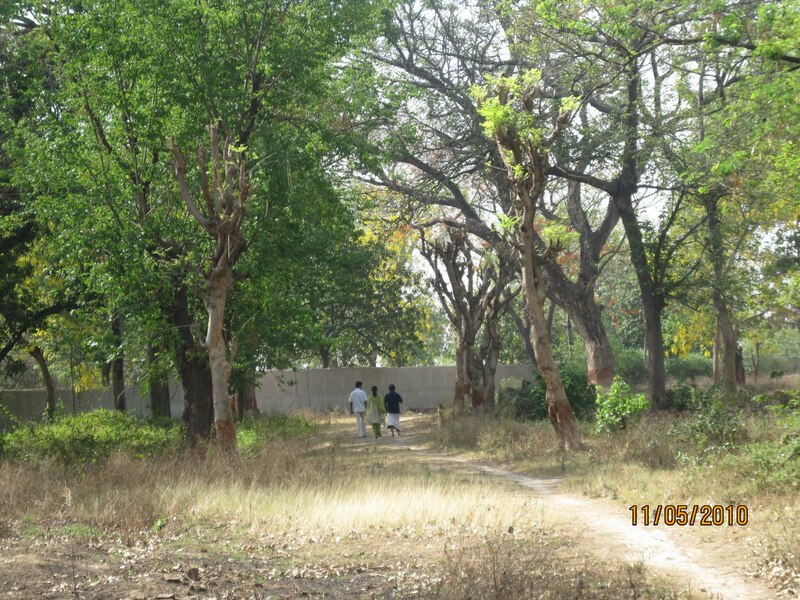 This is Lord Rama's Purvashrama [term used with reference to Sanyasis. It refers to the ashrama (stage of life) of a Sanyasi, before he is initiated into Sanyasa (renunciation)]. Siddha Ashram is located in the periphery of Central Prison, Buxar. Because of its location, we have take the necessary permissions from respective departments. We have to accept all the conditions put by them and should visit in small groups only. For those who want to escape from the prison of samsaram (family life), visiting Lord Rama in Siddha Ashram is the only way. Likewise in Ram Janma Bhoomi, here also we had lot of security restrictions. On the last day of the yagna ceremony, the sky seemed to darken as Maricha, Subahu and their followers came, trying to pollute the holy fire of the yagna. Lord Rama killed Subahu and left Maricha alive. During our visit this place was very hot. Since this is the place where Yagna was carried out, this might be reason behind being very hot. There are many misdeeds (papam) which we commit. They can be categorized as - done before Saranagati (surrender) and after Saranagati. Sriman Narayana clears both but adopts different tools. The earlier karma is known as "Purva Agham" and the later as "Uttara Agham". Bhagavan burns the Purva Agham as cotton burnt in fire. He severs the Uttara Agham like water on the lotus leaf which never sticks to it. One is destroyed and the other is thrown away without leaving a mark. Vedavyasa in Brahma sutra explains this as "tadadhigame uttara purva aghayo: aslesha vinasou" - i.e. vinasam for purva agha and aslesha (severance) for uttara agha. When Maricha and Subahu, the sons of Tataka, came to hinder the Yagna of Sage Vishwamitra. Rama was there to protect the Yagna. Rama neither killed both or drove away both. He killed Subahu (like destroying Purva Agham) and drove away Maricha (like severing Uttara Agham). This episode is symbolic of this concept. The other reason for leaving Maricha alive might be - Lord Rama killed Tataka and Subahu but did not kill Maricha. Instead, the Lord hit him with an arrow after removing its head and hit him so hard that he was thrown 800 miles away. The reason why ‘negativity’ (Maricha) was not killed and only kept aside is because, the Lord wanted to show us that our negative feelings need not be removed totally. It has to be just kept aside and later converted to positive ones when we have a great ideal in life. For example, our stubbornness when given the right direction becomes our determination. Stubbornness is the result of a Desire and Determination is the result of Principles. In our yatra, one of the youngest devotee gave us this reason - Maricha had a future role to play in the destruction of Ravana, hence he was left alive. After having darshan of Siddha Ashram, we all are moving towards north likewise Lord Rama along with Lakshmana and Vishwamitra travelled towards Mithila Desam after Yagnam ceremony. We are also following their path. In the above verse Thondaradipodi Azhwar recalls the heroic deeds of Lord Rama as a Young boy during the occasion of Vishwamitra Yagna Samrakshanam (Protecting) and performing Avabrutha Snanam (sacred bath) afterward to celebrate the successful conclusion of the Yagnam at Siddha Ashrama. Avabrutha snanam (divine dip after a holy ritual) is done in nearby river/pond/lake always at the conclusion of a Yagnam or Mahothsavam. From Siddha Ashram (Buxar), we all started our journey towards Chapra and reached Revelganj. 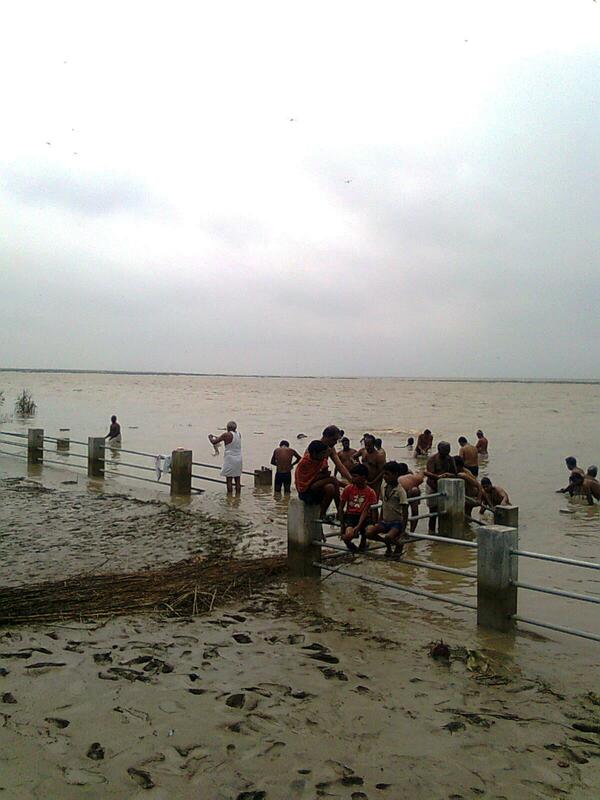 The confluence (Sangam) of Ganga and Sarayu, two most sacred rivers of India is located here. Ganga from the starting point, till she reaches the oceans near Hubli in bay of bengal, many rivers come and join ganga (sangamam). We are in one such sangamam. We need to take good care of the environment by not polluting them. When we take bath in rivers avoid use of plastics, soaps, creams etc.